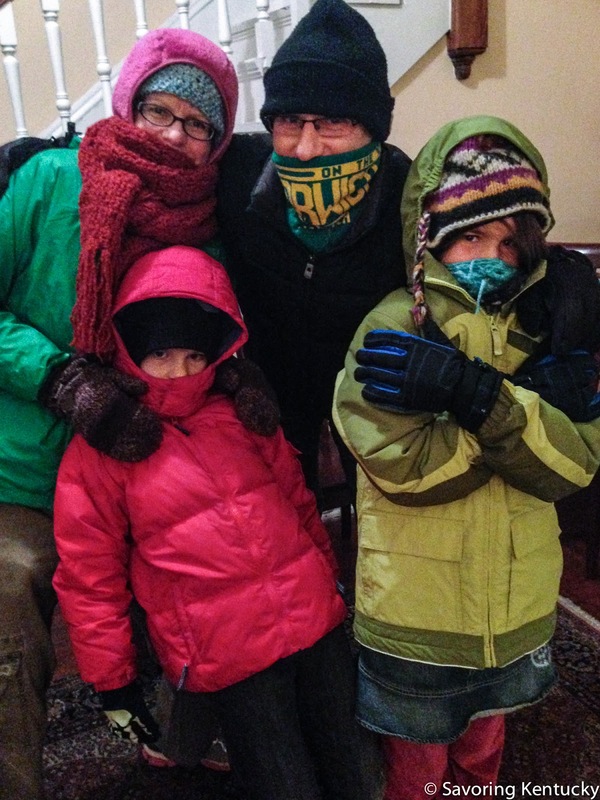 Faithful Cornbreadians showing just what it takes to keep crunching in bitterest winter. So proud of the Cornbreadians! 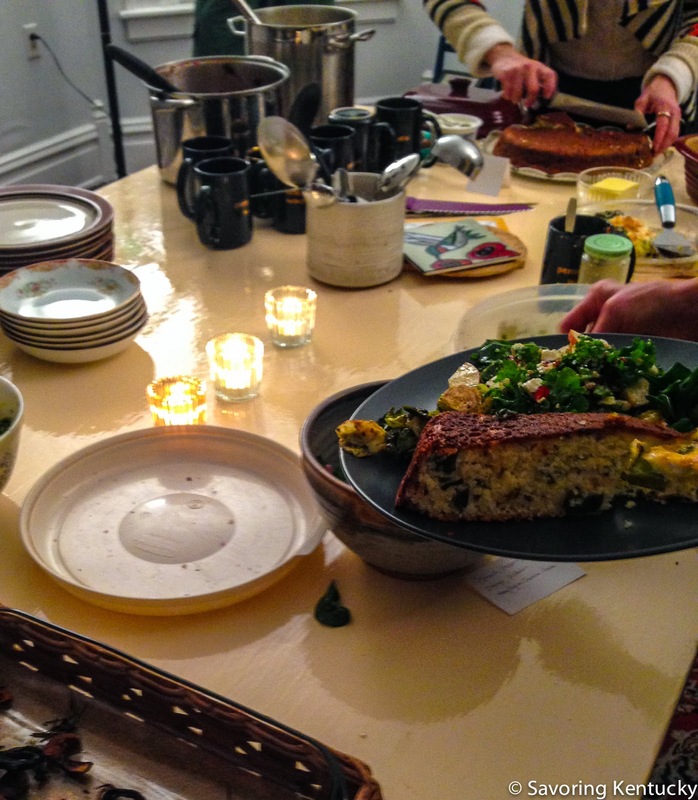 In spite of unholy cold—three degrees below zero at 6 PM—some hearty, hardy souls came to inaugurate the 2014 edition of Cornbread Suppers with beautiful green foods, steaming hot soups, roast vegetables, and two kinds of cornbread. Here we go for 2014! 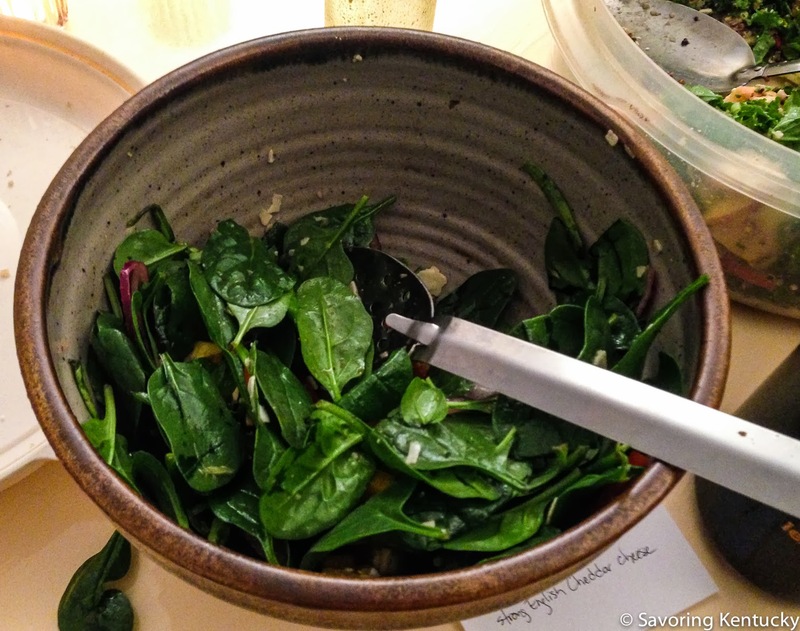 Quite a few dishes featured greens: kale, spinach, basil. Beautiful on a wintry night, and good for all of us.